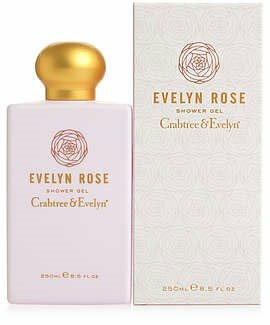 Rose extracts soften the skin and leave a luxurious fragrance of uniquely scented Evelyn Rose petals and peach nectar, surrounded by an elegant jasmine and violet accord with accents of bergamot and sensuous amber. Mild cleansing formula without parabens, phthalates, mineral oil, or propylene glycol. 250ml, 8.5 fl. oz.